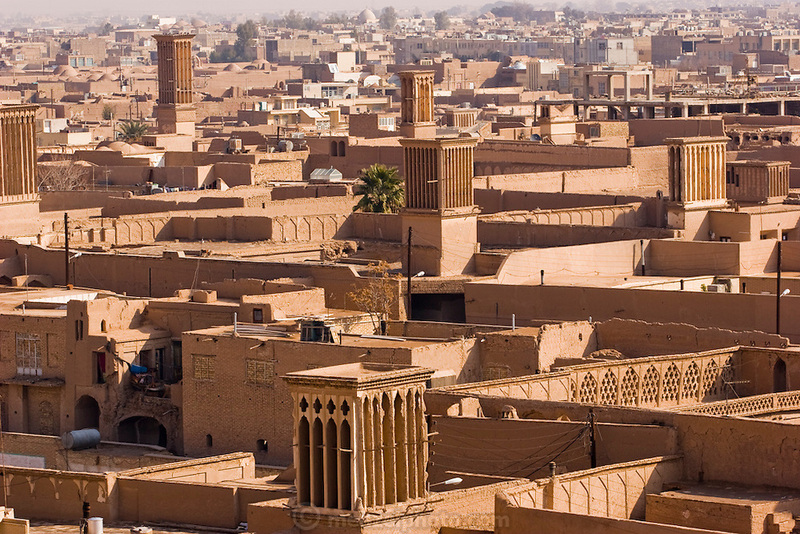 Windtowers (called badgirs in Farsi) tower over homes in the city of Yazd, Iran. They are designed to catch the wind and cool homes and other buildings naturally, with no fans or electricity. Building structures in Iran are built close together, especially in the country's hot, arid central region, and their purposefully tall earthen and brick walls create maximum shade for pedestrians in the narrow adjacent alleyways.